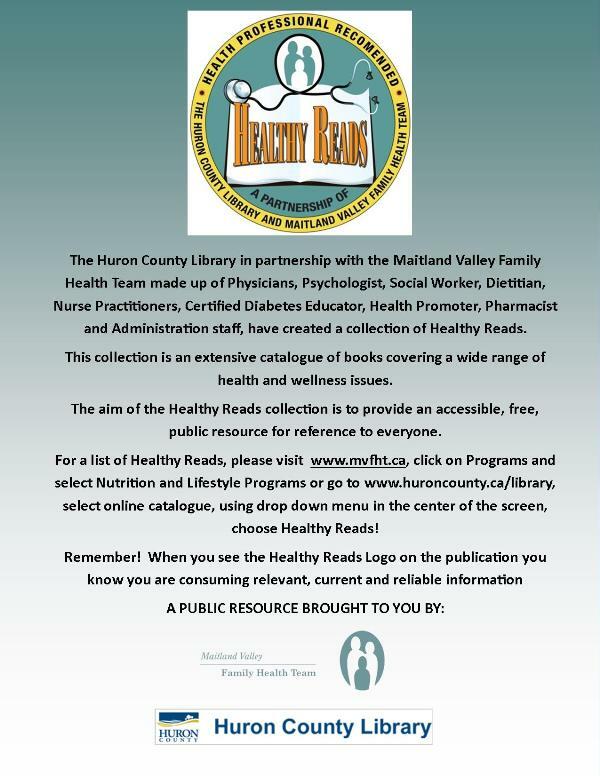 The Healthy Reads Project in partnership with the Huron County Library was conceived of by the Health Promotion and Disease Prevention Committee, an initiative of the Maitland Valley Family Health Team. The Goderich Clinic Team consists of physicians, psychologist, social worker, dietitian, nurse practitioners, diabetes nurse educator and a pharmacist. 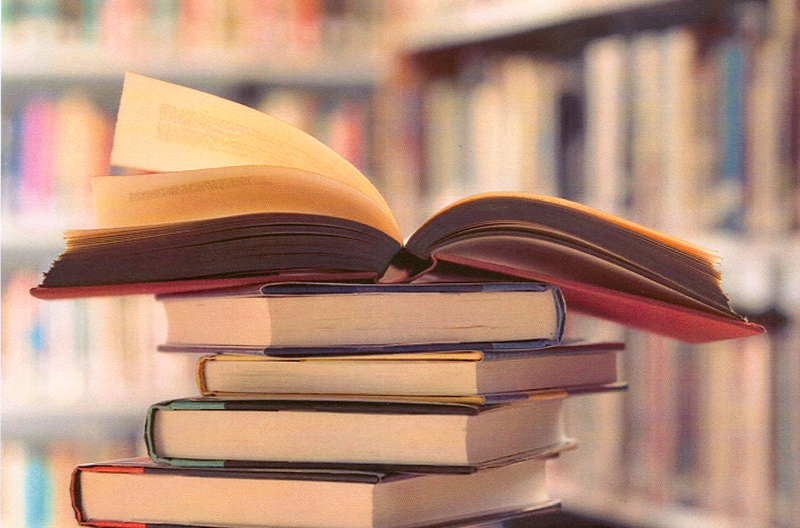 They have recommended an extensive catalogue of books covering a wide range of health and wellness issues. The aim of Healthy Reads is to provide an accessible, free, public resource for reference to their patients. The Huron County library partnered with the Maitland Valley Family Health Team and has made this collection easily available through the Huron County branches. Healthy Reads book selections are identifiable by the distinctive logo on the front cover, so if you have had a health professional "prescribe" this book to you, or you have found it in the catalogue listing on the library web site, or it is self selected, you will know that you are consuming relevant, current and reliable information. Click preview image below to view printable PDF.